When it comes to science policy issues in Canada, there are plenty of perspectives to consider. A key demographic is graduate students and post-doctoral fellows; unfortunately, their voices often go unheard. With this in mind, the Montreal-based student group Science & Policy Exchange (SPE; or Dialogue Sciences & Politiques) is focusing on bringing student voices to the science policy table. Established in 2009, SPE is a non-profit, bilingual science advocacy group led by graduate students and post-doctoral fellows. SPE aims to promote student voices in evidence-based decision-making by bringing together students, experts, and the public to discuss issues critical to science and policy, as well as providing training opportunities to those new to science policy. The core team consists of around ten executives, with a broader group of student volunteers driving SPE’s efforts and making its initiatives a reality. 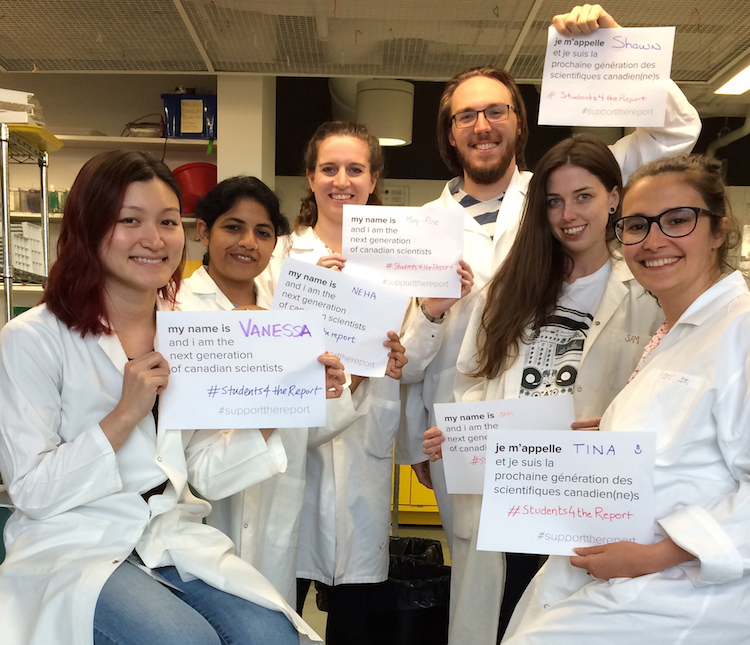 So what does student-led science advocacy involve? 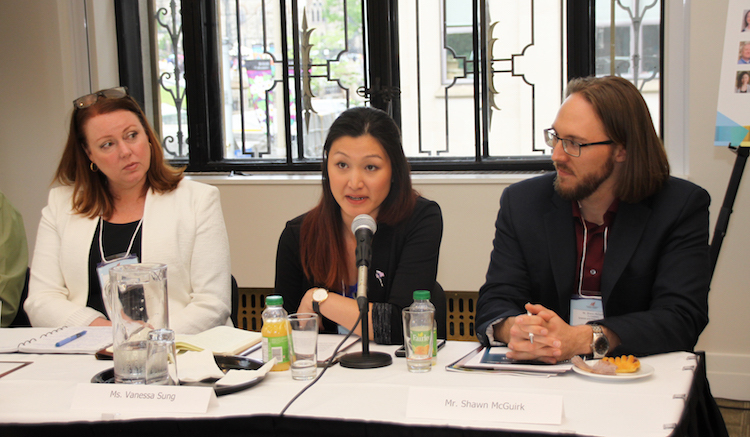 In an interview with Science Borealis in the summer of 2018, Shawn McGuirk and Vanessa Sung, SPE co-presidents at the time, said that SPE practices science advocacy through a combination of events and initiatives, including student consultations, science policy cafes, and public forums. In fall 2018, SPE launched a survey to gather an early career perspective on scholarships and fellowships, and then collaborated with 500 Women Scientists Montreal and Broad Science to lead a Wikipedia Edit-A-Thon to commemorate Ada Lovelace Day and increase the representation of female scientists on Wikipedia. 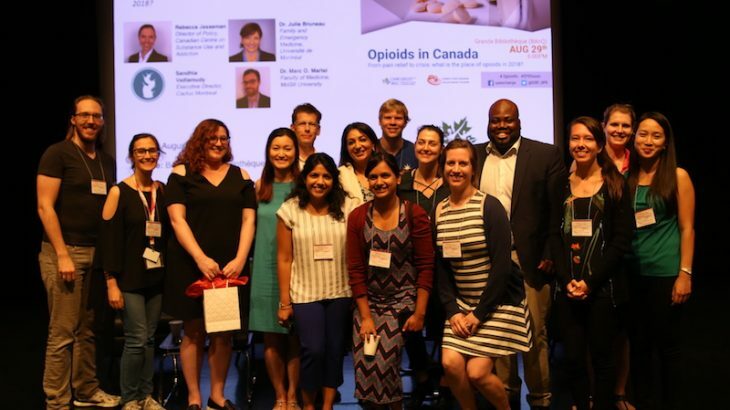 This past summer, SPE hosted public forums on a variety of topics, including cannabis legalization and the place of opioids in Canada. 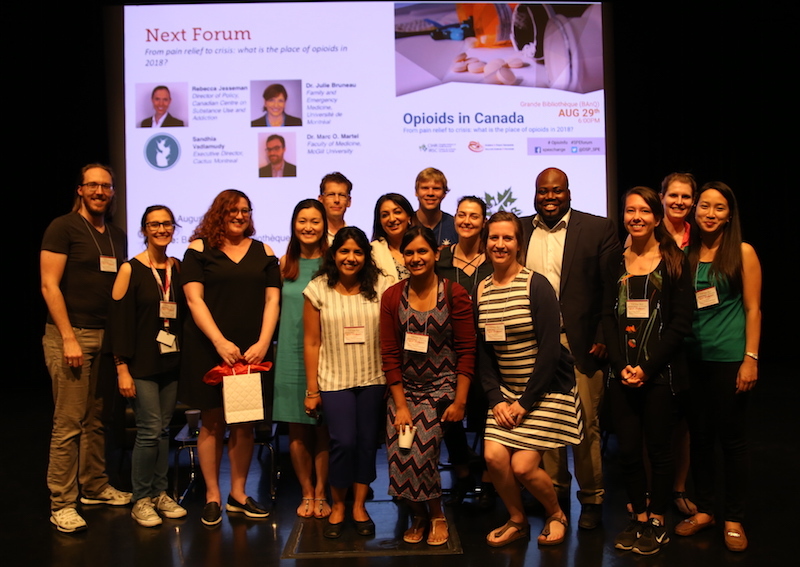 McGuirk and Sung told me that these public forums are supported by a Canadian Institutes of Health Research (CIHR) grant, while other events are made possible through a combination of persistent fundraising and grant applications. SPE has also hosted science policy cafes, which functioned as student consultations on a particular topic. 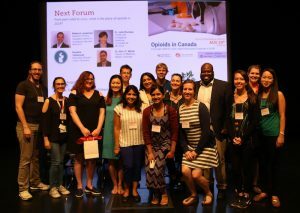 Summaries of the discussions were then released as whitepapers, such as Breaking Gender Barriers in STEMM in 2018, and a Student perspective of STEM education in Canada in 2016. For the #Students4TheReport campaign, SPE partnered with over 20 associations representing more than 300,000 university students. The campaign asked young researchers to sign an open letter to Prime Minister Justin Trudeau and relevant Ministers, to write their own letters, to meet with and tweet their MPs, and to share why they #SupportTheReport on social media platforms. The #Students4TheReport campaign was a resounding success. More than 1,200 students signed the open letter, and the campaign has been credited as one of the (many) efforts that helped make the $3 billion allocation to fundamental research a reality in the 2018 federal budget. Dr. Jim R. Woodgett first came across SPE through Twitter, when the group was heavily promoting the #Students4TheReport campaign, and then met SPE members at a Naylor Report session at McGill University in the summer of 2017. Woodgett is the Director of Research of the Lunenfeld-Tanenbaum Research Institute (LTRI) in Toronto, and comments regularly on Canadian science policy issues. Indeed, some SPE alumni are pursuing science policy as a career. For example, former SPE co-presidents McGuirk and Sung, who both completed their PhDs this past summer, have gone on to obtain a Mitacs’ Canadian Science Policy Fellowship at the Natural Sciences and Engineering Research Council of Canada (McGuirk), and an internship in the Chief Science Advisor’s office (Sung). For the 2018–2019 academic year, SPE is being led by new co-presidents: Dr. Tina Gruosso (now a scientist at Forbius) and Mary-Rose Bradley-Gill (a PhD candidate, Biology Department, McGill University). SPE has a number of events planned for this year, and aims to continue to engage in broader Canadian science policy discussions, such as the upcoming 2018 Canadian Science Policy Conference. McGuirk and Sung have high hopes for the future of students in the science policy field, because next-generation scientists are more engaged, and more willing to become active and advocate for themselves and their causes. Communication, Education, and Outreach, Policy and Politics, Science in Society #Students4TheReport, evidence for democracy, Farah Qaiser, ialogue Sciences & Politiques, Jim R. Woodgett, Katie Gibbs, Science & Policy Exchange. permalink.